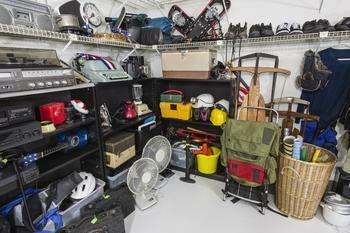 Spring cleaning can unearth quite a few items to sell at yard or garage sales. But while one man’s trash may be another man’s treasure, second-hand buyers should be aware that certain used items can pose safety risks. Before jumping at the chance to snag a bargain on children’s items or electronics, consumers should look for signs that the item may be unsafe. Getting a great deal shouldn’t come at the cost of safety and quality. Children’s items and electronics “tend to be ‘big gets’ at yard sales, but require caution and recall research,” said the Wisconsin Department of Agriculture, Trade and Consumer Protection (DATCP) in a recent newsletter. Here are a few safety tips to keep in mind while shopping at yard, garage, or thrift sales. Budget-conscious families should cautiously evaluate children’s items for potential problems. Cribs, toys, and other children’s items are frequently recalled, and shoppers are ultimately responsible for discovering if an item has been recalled. “When it comes to products offered through rummage or yard sales, the assessment of an item’s safety is the responsibility of the buyer,” said Frank Frassetto, Administrator for DATCP’s Division of Trade and Consumer Protection. The toy’s condition. Make sure it’s sturdy and doesn’t have any broken, loose, or missing parts. Batteries. Check that batteries in electronic toys are securely enclosed and inaccessible to kids. Recall alerts. Make sure the item hasn’t been recalled by the U.S. Consumer Product Safety Commission by visiting the CPSC website and doing a search for the product. Yard sales are also a great place to find deals on battery-powered items, such as tools and electronics. But before bringing home used electronics, the DATCP recommends checking the battery compartment for signs of corrosion. When buying electrical items, steer clear of items with frayed wires or questionable repair jobs on cords. “If you are able to test these items on-site, run them through their paces before you turn over your cash,” the DATCP says.